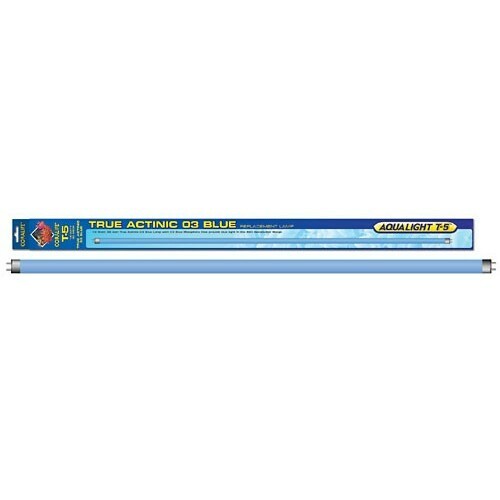 The Coralife T5 Actinic 03 Blue lamp is a 100% blue actinic 03 phosphor that peaks at 420 nanometers. Lighting with a higher blue component better simulates the softer shades of dusk, dawn and the blue hue of deeper water. Additionally, many marine invertebrates depend on blue light, the wavelength that most deeply penetrates water. NOTE: The actual bulb length from pin to pin is 28.25".